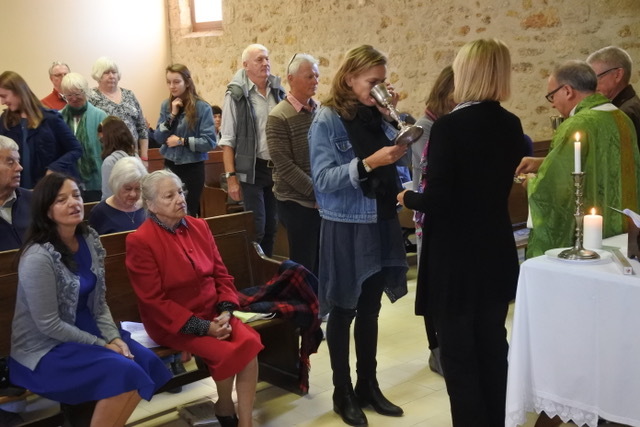 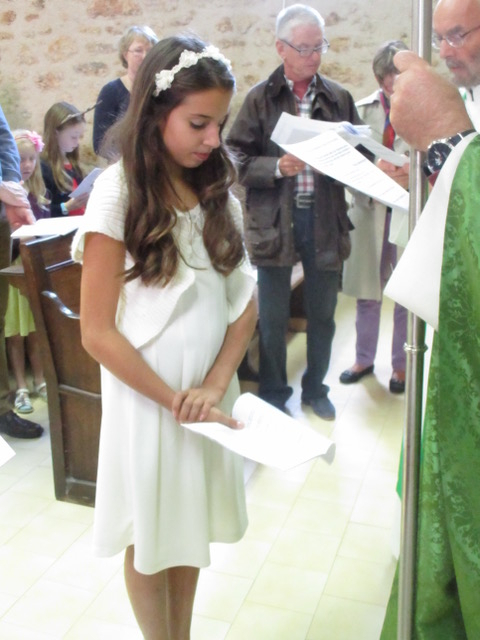 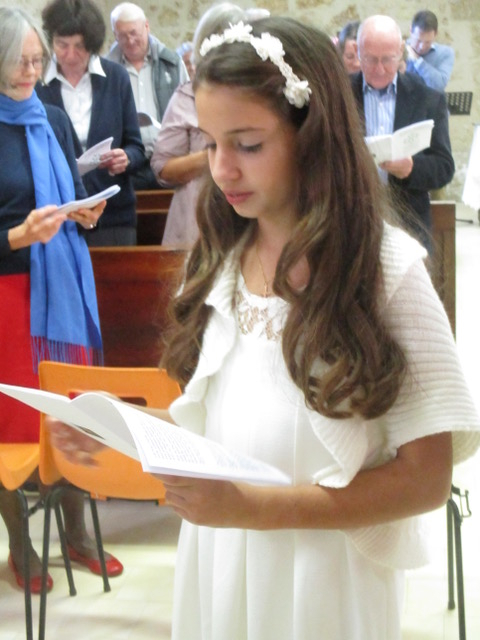 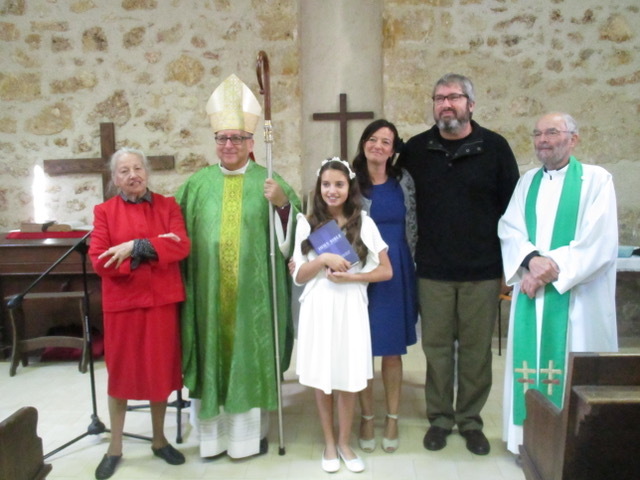 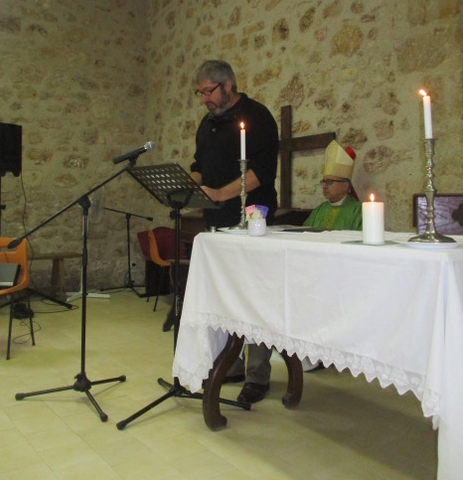 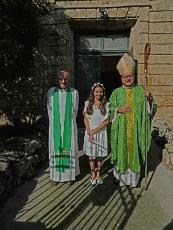 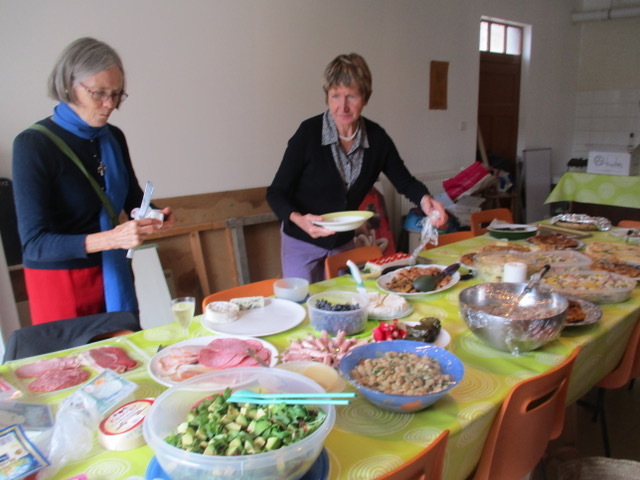 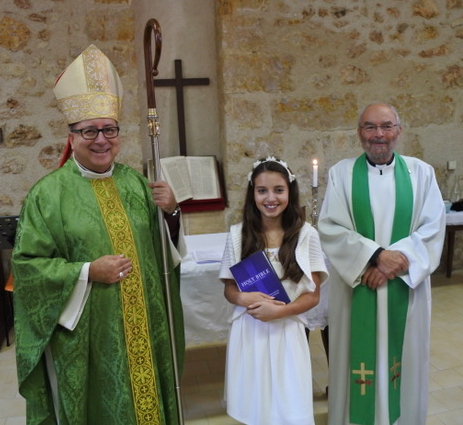 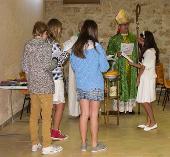 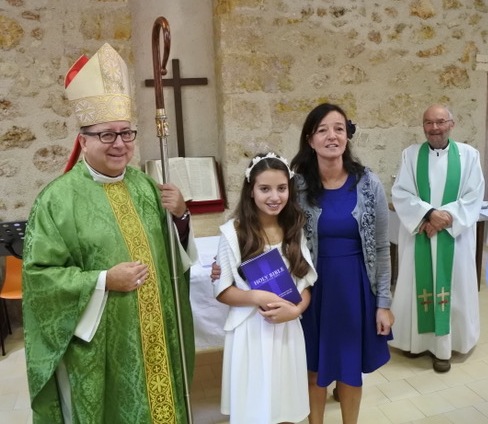 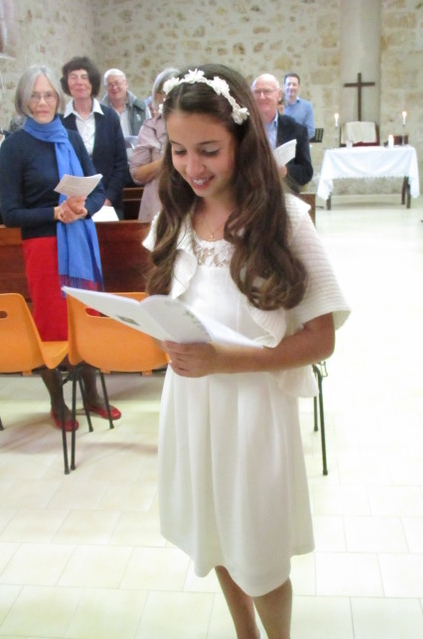 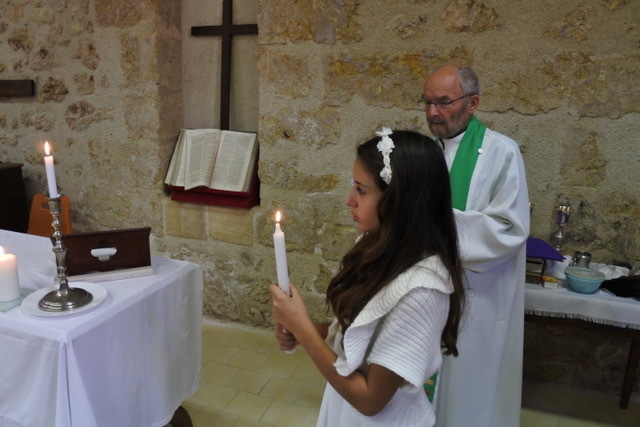 Alice affirmed her faith before Bishop David, Roger our Priest in charge, her family and some 50 members of the congregation of All Saints Hérault. 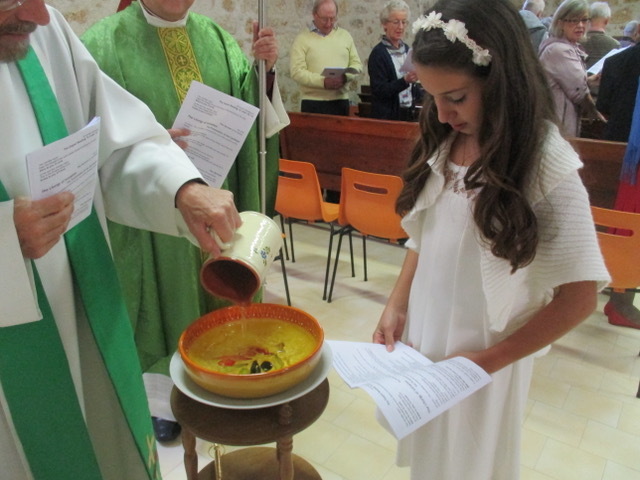 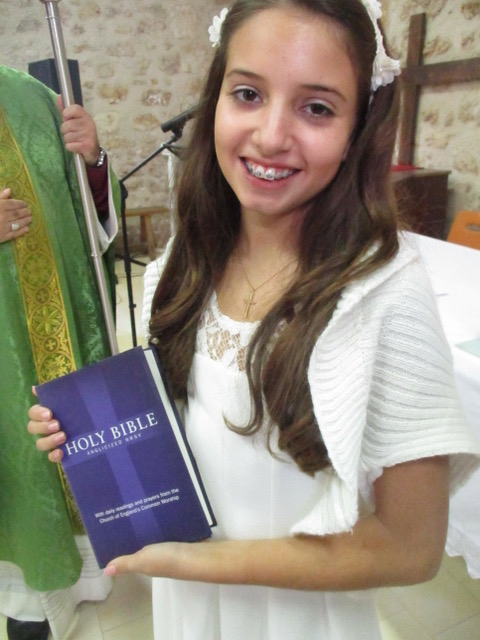 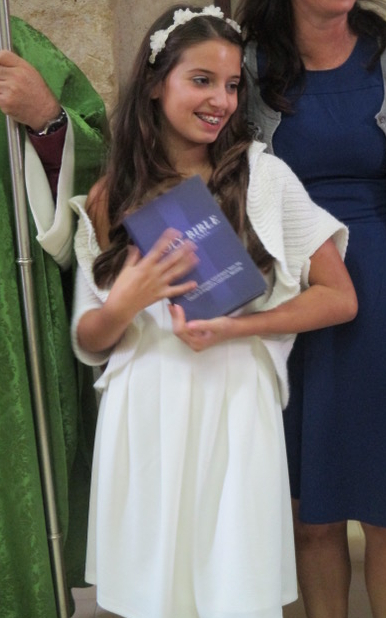 She was given a lighted candle symbolising new light and the new life when jesus was born, alongside a holy bible. 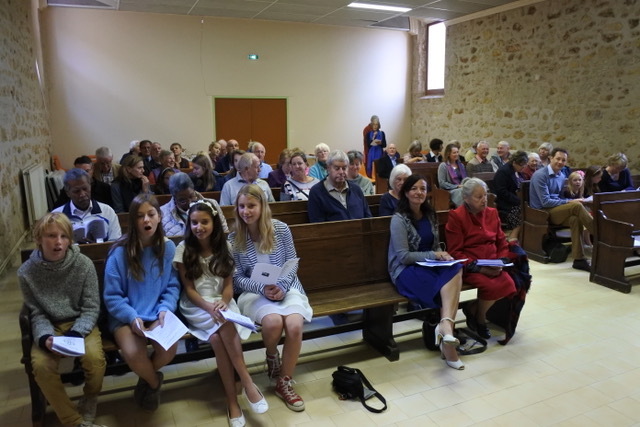 All agreed it was a moving and happy event. 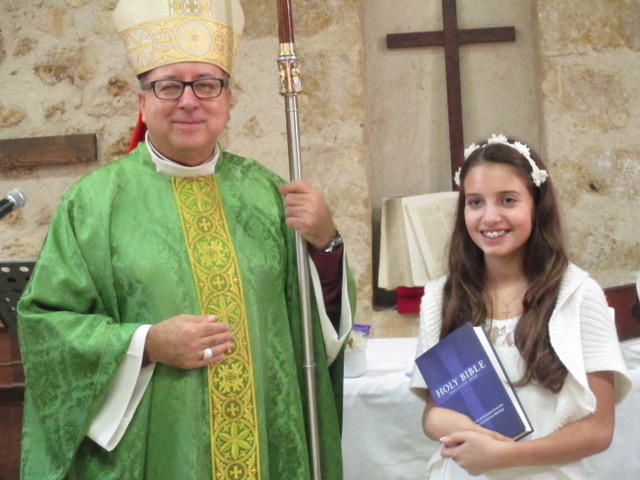 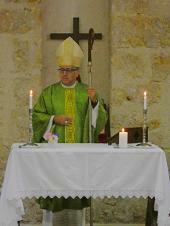 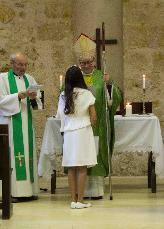 Link to Bishop David's blog item regarding Alice's confirmation. 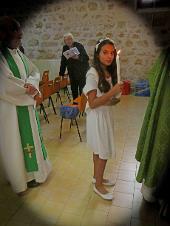 Click the photo!